Hack of: Pokemon White Wish Unova played like a more Difficult Pokemon game while still following the Unova Rule*? Wish the Pokemon of Unova had decent Level-Up movepools? Wish the Trainers were tougher without being stupidly tough? Wish Certain Pokemon were available earlier earlier? Wish You could be a shut-in and still get those pesky Trade Evolvers? *Unova Rule-Only Unova Pokemon Pre-Game Well Look No Further! Pokemon Purest White! Level-Up Moves have changed. Later Trainers all carry Eviolites on their Unevolved Pokemon (All Gym Leaders bar-Straiton use it) Veterans use Max Revives Ace Trainers use Full Restores Wild Pokemon Locations have sitched up a bit (Vullaby in Route 4, Pidove & Minccino on Route 1, Klink on Driftveil Bridge, etc...) Team Plasma's Roster has been upgraded to incude: Karrablast line, Shelmet Line, and Pawniard Line. Dark Grass is much tougher and will rarely yeild evolved forms of Pokemon found on the Route. 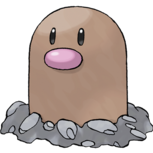 Shaking Grass now yeilds extremely tough pokemon in addition to Audinos. Nurses and Docters are now EXP Clerics. Gym Leaders are Tougher too, (I had to redo Striaton and Nimbasa several times). The E4 still use 4 Pokemon, but the levels are increased to compensate. Alder has a different roster. Cynthia uses her Platinum team. To evolve Trade Evolution Pokemon- Normal Trade-Level Up at Night Holding the Gem that equals their Type. Item Trade-Level Up holding Item Specific Pokemon Trade-Level with that Pokemon in Party. Thanks to Shaqnel from YouTube for the RBY wild theme used in Wild Battles. [video=youtube;wFwi4pJUAgQ] [video=youtube;1DGfD4fkaU8] [video=youtube;H2geNAdY0HI] All that's left to do- Update a few more Pokemon's Movesets. Change a few TM attacks* Fix the glitched up Trainer sprites Find a Good Patch Creator-Suggest PLEASE! *Anyone know where the TM data is held? I wanna change a few, like Bug Opposition to Signal Beam. Pokémon Gray, a remake of Pokémon Black, White, Black 2 and White 2. Introduction: Hi all, I'm thinking of doing a history hackrom collecting Pokémon Unova Pokémon Black and White and Black and White 2 called Pokémon Gray/Grey. The story would be Hilbert and Hilda starring in his journey through Unova mixing history of this region of the anime and manga as main story and the remaining after the Pokémon League. For example: start the standard story of Pokémon Black and White battling the gym leaders that appear in the anime with the manga events after the league will follow the story that appears in Pokémon Black and White starring Nate and Rosa. Main characters: Hilda and Hilbert are young coaches who live in Nuvema Town located in Unova. Professor Juniper sends home a gift with the three starter Pokémon so they enlist to start your Pokémon adventure. During your trip, you will find all kinds of Pokémon and trainers Unova region. Also will face Team Plasma to thwart their plans. Hugh will be your opponent in the entire game. Professor: Juniper is the proffessor Pokémon Unova region. She is responsible for delivering the starter Pokémon in that region, she is the first teacher of the main series Pokémon game and specializes in the study of the origin of the Pokémon. History: The adventure is located in the new region, Unova and begins in Nuvema Town, where you will receive the starter Pokémon: Snivy, Oshawott or Tepig. Professor Juniper and Colress will find recurring characters throughout the adventure on several occasions, as well as your good friend (Nate if you are Hilda or Rosa if you are Hilbert). The villains of Team Plasma have the task of freeing the Pokémon coaches, they believe that the Pokémon are free beings and their relationship with the legendary Reshiram and Zekrom. Will also Natural (N), which will have a say in this story. Your mission is to become champion of the Unova region, after that two years have passed since you left to start your adventure Unova's image has changed: the works have been completed and on Route 4 buildings have been built. In addition, the Driftveil City's lighthouse is gone resulting craters and founded new cities, as Aspertia City southwest of Unova. Project: This hack is conducted through Pokémon Black & White 2 and need the tools collected links at the moment for these games to pull it off, I have little experience so if one wants to do this project have permission. A greeting and thank you all.